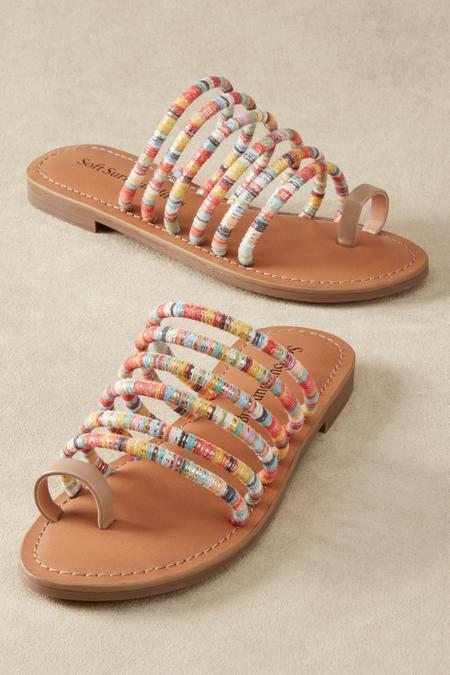 Colorful rounded fabric bands in vibrant summer hues give these sandals a world-traveler vibe. Pair with crisp whites and khakis, jeans, skirts, dresses and even shorts for a buoyant seasonal look. An easy toe-loop secures your foot in place, while a soft footbed and rubber sole keep you comfortable and adventure-ready. 1/4" heel.